Top Subject Matter Experts providing some awesome learning, Friendly People, and plenty of all around good times. 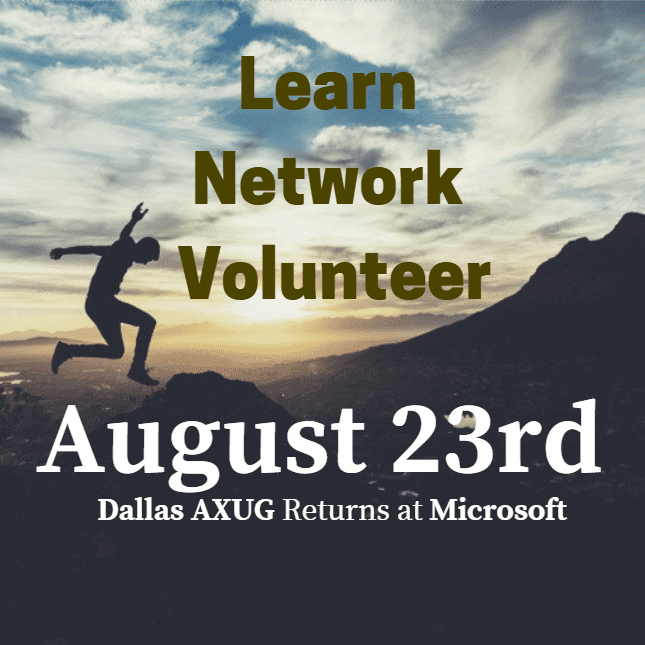 Come meet your other Dynamics 365/AX friendly volunteers and just enjoy our awesome community. Top Dynamics experts from around the world will be providing the knowledge (more later), and an awesome community featuring members from companies spanning across the globe will be there.